There will be 172 badminton players at the London Games - 86 from each gender - playing in five events, namely the men's and women's singles and doubles plus the mixed doubles. Nations can enter a maximum of three players into each singles event, and at most two pairs into each doubles event. Qualification rests on where players stand in the Badminton World Federation (BWF) rankings list when it is published on 3 May 2012. The rankings take into account all performances between 2 May 2011 and 29 April 2012. Put simply, the governing body will go down that list allocating places (respecting the rules on maximum entrants per country, as above) until the Olympic competition is full. There are some caveats - for example, there must be at least one competitor from each of badminton's five continental federations in every singles and doubles event. Finally, there are two invitational places on offer in both the men's and women's singles. As hosts, Team GB may enter two badminton players regardless of how they fare in qualifying. However, despite a disappointing 2010 which saw their funding cut by UK Sport, the British team will expect to field a bigger squad once qualification has concluded. 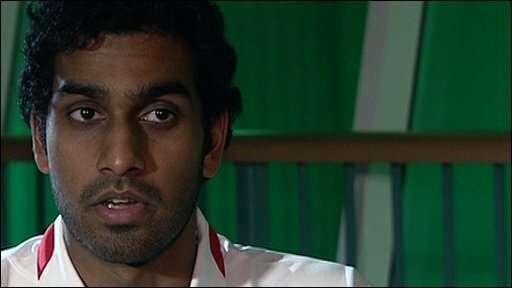 Rajiv Ouseph is Britain's top-ranked player, appearing 14th in the men's singles rankings at the end of 2010, with Carl Baxter 31st. Elizabeth Cann, from Jersey, is the best-ranked of Britain's women's singles players, holding 32nd place in the world rankings heading into 2011, three places ahead of Scotland's Susan Egelstaff. Marcus Ellis and Peter Mills were Britain's best-performing men's doubles team at that time, ranked 25th, while Jenny Wallwork and Gabrielle White were ranked 20th in the women's doubles. 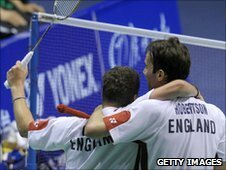 In the mixed doubles, which may be the most likely discipline to provide a British medal in 2012, Nathan Robertson and Wallwork were ranked seventh as 2011 began.